Revit MEP will allow you to indicate double home runs when circuiting electrical fixtures. This can be done by simply dragging a home run arrow from one electrical circuit to a fixture that is on a different circuit. The result will show a double arrow head on the home run and the circuit tag will call out both circuits. The one thing that has always bugged me about this is that Revit would also still show the home run arrow head tying the two circuits together. Every time I taught this, I was asked how do you get rid of the arrow head tying the two circuits together? Up until today, I did not think you could. I have now found a way and it is very simple. All you have to do is to duplicate the plan using the Duplicate with Detailing. As soon as the plan is duplicated the arrow head goes away. The only downside is that the duplicated plan must remain in the project. If the plan goes away then the arrow head comes back. Weird, but it solves the mystery of how to turn off the unwanted arrow head. Is this a standard Revit schedule? Revit does not allow for graphics to be included in a schedule. This has been on the wish list but has not been included as of yet. Revit does allow for special characters to be used. Special characters can be used as long as the character is of the same font style as the font defined in the body font style of the schedule. One example of the use of special characters would be to create a ‘dot matrix’ type of schedule where you want to show a special character as the dot. Learn how to create this type of schedule plus many other scheduling tips in my AU session. 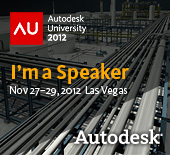 I am honored to have been selected to speak at Autodesk University for the 6th year in a row. This year I will be presenting two sessions. If you can model it, you can schedule it. Using schedules in Autodesk® Revit software is a powerful way of viewing the information in your Building Information Modeling (BIM) projects. Most users create basic schedules and have a good understanding of how to create schedules. What most users do not know is some of the more powerful features of schedules. This class will explore some of the lesser-known aspects of creating schedules, such as creating embedded schedules, using conditional formatting in schedules, and understanding key schedules. We will also dive into shared and project parameters and how to use them in calculated formulas. Let’s face it there are many elements in our Revit models that are re-modeled by the Architect, MEP and/or Structural Engineers. Who model it initially? Who owns it? Is Copy/Monitored being used? These types of questions should always be asked. Items such as columns, girds, ceilings, lights, plumbing fixtures, structural walls, floors, and roofs are usually populated in both the architectural model and the engineers’ models. This session will discuss the proper workflows between Architects and Engineers and how to model elements that have both architectural and engineering needs. Learn how to share the information of these elements without having to duplicate the geometry. . Sometimes knowing when and how to share elements will eliminate the need to have ownership of elements. Learning to create the proper workflow and families will ensure that collaboration is being achieved on your BIM projects. It is not too early to begin planning for this great event. Registration opens September 5, 2012. Autodesk Labs have a new product to assist with coordinating Revit with Civil 3D. 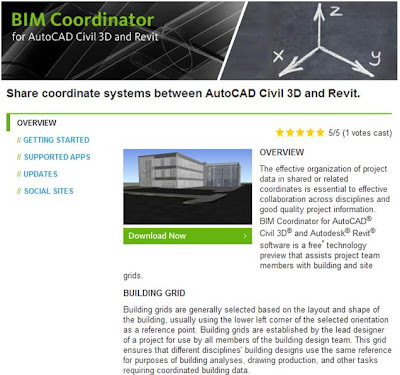 This new add-in tool will allow the coordinates inside of Civil 3D be saved out as an external file, that can be imported into Revit to acquire the Shared Coordinates. This process appears to work without having to import the actual Civil file. A quicker, simpler way to make sure you Revit model has the correct coordinates. The add-in app is written for release 2012, but I copied it to my 2013 version and it appears to work correctly. Registration is open for RTC USA. I am excited to be teaching two sessions. Be sure to sign up early before sessions fill up. Having a 12 year old son, I have a deep love for legos. This is just an amazing video. Check out the new Point Cloud Extraction for Revit tools. Learn all about Embedded Schedules over at my most recent post on the Applied Software Blog. Here is a link to Shaan Hurley's Survival Tips for AU. 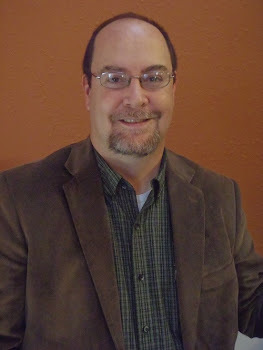 It has some great tips that he has learned over the past 14 years that he as attended. Just posted a new post on about creating 3D Views for Levels. Check it out on the Applied Software Blog.